How had he ended up on this shelf? What had happened when his eye turned black? Was he born that way and hidden, or did the mark of magic manifest? Five years. Five years he’d been someone else’s son. Had they been sad to let him go? Or had they gratefully offered him up to the crown? V.E. 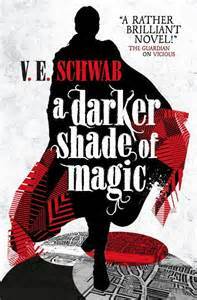 Schwab – A Darker Shade of Magic. This sounds awesome, can’t wait to read it. That list just sounds so appealing. What about you? Have you read any Victoria Schwab novels before? 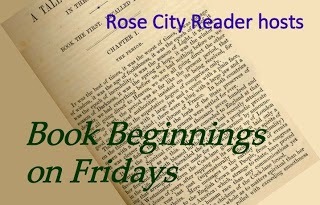 This entry was posted in Bookish Delights and tagged Book Beginnings, Freda's Voice, Rose City Reader, The Friday 56 Meme. Bookmark the permalink. Aaah I got to read the first opening chapters for this one on Netgalley and really want to read more now! Thanks for sharing 🙂 I hope you have a great week! Great quote and very intriguing. You’ve sold me on this book. I like the sound of The Friday 56 and will take a look. Thank you for sharing. Thank you Annika, yes I’m going to read this soon, glad you found it interesting. Interesting BB and F56. Definitely give a taste of what the book is going to be. Add in the title and cover and people should be able to easily tell if it appeals to them. Here’s My Friday Have a great weekend! Oh, the title and the cover are there albeit towards the end of the post. Will check out your Friday post too. Have a great weekend too. That list of characters is fantastic! Between the snippets and that list, I am totally intrigued!